Chocolate has a remarkable history. When Cortez and his conquistadors first encountered the Aztecs and met the last Aztec emperor, Montezuma, they were amazed to find a thriving metropolis with more than one million residents, making it several times larger than the biggest city in Europe at the time. Cortez and his band were confronting a culture and an ecosystem that was wildly strange to them. Yet what they found most astonishing, according to their reports, was the fact that Montezuma’s royal coffers were overflowing, not with gold, but with cocoa beans. Here, gold was used primarily for architectural and artistic beauty and had only secondary monetary value. The coin of the realm in pre-conquest Mexico was not gold, it was cocoa beans. When Cortez arrived in the Aztec capital, Montezuma’s coffers held more than 9,000 tons of cocoa beans. Since these beans were money, they were roasted and eaten only by the wealthiest of citizens, only by those who, literally, had “money to burn.” According to the reports of the conquistador’s, Montezuma himself drank only cocoa potions, and this from golden goblets which were given to the poor after a single use. This may have been one of the most extreme examples of conspicuous consumption in history — the eating of money itself. Today we know that cacao, cocoa and chocolate are the richest known sources of a little-known substance called theobromine, a close chemical relative of caffeine. Theobromine, like caffeine, and also like the asthma drug theophylline, belong to the chemical group known as xanthine alkaloids. Chocolate products contain some caffeine, but not nearly enough to explain the attractions, fascinations, addictions, and effects of chocolate. Chocolate addiction may really be theobromine addiction. Most of us, though, aren’t all that concerned with the history or chemistry of chocolate. When it comes down to it, frankly, we are content so long as the market shelves remain well stocked with affordable tins of cocoa and bars of chocolate candy. Or at least that’s how it was in the United States until the summer of 2001. For then the Knight Ridder Newspapers across the country ran a series of investigative articles that revealed a very dark side to our chocolate consumption. In riveting detail, the series profiled young boys who were tricked into slavery, or sold as slaves, to Ivory Coast cocoa farmers. Ivory Coast, located on the southern coast of West Africa, is by far the world’s largest supplier of cocoa beans, providing 43% of the world’s supply. There are 600,000 cocoa farms in Ivory Coast which together account for one-third of the nation’s entire economy. An investigative report by the British Broadcasting Company (BBC) in 2000 indicated the size of the problem. According to the BBC, hundreds of thousands of children are being purchased from their parents for a pittance, or in some cases outright stolen, and then shipped to the Ivory Coast, where they are sold as slaves to cocoa farms. These children typically come from countries such as Mali, Burkina Faso, and Togo. Destitute parents in these poverty-stricken lands sell their children to traffickers believing that they will find honest work once they arrive in Ivory Coast and then send some of their earnings home. But that’s not what happens. These children, usually 12-to-14-years-old but sometimes younger, are forced to do hard manual labor 80 to 100 hours a week. They are paid nothing, are barely fed, are beaten regularly, and are often viciously beaten if they try to escape. Most will never see their families again. The ownership of one human being by another is illegal in Ivory Coast, as it is in every other country in the world today. But that doesn’t mean slavery has ceased to exist. Rather, it has simply changed its form. In times past, we had slaveowners. Now we have slaveholders. In both cases, the slave is forced to work by violence or the threat of violence, paid nothing, given only that which keeps him or her able to continue to work, is not free to leave, and can be killed without significant legal consequence. In many cases, nonownership turns out to be in the financial interest of slaveholders, who now reap all the benefits of ownership without the obligations and legal responsibilities. Kevin Bales is author of Disposable People: New Slavery in the Global Economy, and director of Free The Slaves, an American branch of Anti-Slavery International. He points out that one of the economic drawbacks of the old slavery was the cost of maintaining slaves who were too young or too old to work. Children rarely brought in more than they cost until the age of ten or twelve, though they were put to work as early as possible. Slavery was profitable, but the profitability was diminished by the cost of keeping infants, small children, and unproductive old people. The new slavery avoids this extra cost and so increases its profits. In the United States, the old slavery consisted primarily of bringing people against their will from Africa. This represented a significant financial investment. Bales says that before the Civil War, the cost to purchase the average slave amounted to the equivalent of $50,000 (in today’s dollars). Currently, though, enslaved people are bought and sold in the world’s most destitute nations for only $50 or $100. The result is that they tend to be treated as disposable. Slaves today are so cheap that they’re not even seen as a capital investment anymore. Unlike slaveowners, slaveholders don’t have to take care of their slaves. They can just use them up, in the cocoa fields for example, and then throw them away. As publicity about the use of child slaves in the chocolate industry mounted in the summer and fall of 2001, so did pressure on the chocolate manufacturers. Chocolate is a symbol of sweetness and innocence, but Western chocolate consumers know there is nothing sweet and nothing innocent about slavery. On June 28, 2001, the U.S. House of Representatives voted 291-115 to look into setting up a labeling system so consumers could be assured no slave labor was used in the production of their chocolate. Unhappy with this turn of events, the U.S. chocolate industry and its allies mounted an intense lobbying effort to fight off legislation that would require “slave free” labels for their products. The Chocolate Manufacturer’s Association, a trade group that represents U.S. chocolate producers, hired two former Senate majority leaders — Bob Dole, a Republican, and George Mitchell, a Democrat — to lobby lawmakers on its behalf. “A ‘slave free’ label would hurt the people it is intended to help” because it would lead to a boycott of all Ivory Coast cocoa, said Susan Smith, a spokeswoman for the Chocolate Manufacturer’s Association. She pointed out that no producer using Ivory Coast cocoa could possibly state that none of its chocolate was produced by child slavery. Slave-picked beans are mixed together with others harvested by free field hands. For a long time, many major chocolate makers have insisted that they bear no responsibility for the problem, since they don’t own the cocoa farms. But pressure on the industry was mounting. The legislation to address child slavery in West Africa that had passed in the House (sponsored by Representative Eliot Engel) was by now almost certain to pass in the Senate (where it was sponsored by Senator Tom Harkin). 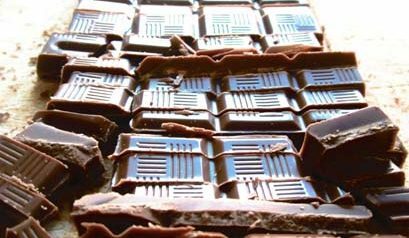 On October 1, 2001, the chocolate industry announced a four-year plan to eventually eliminate child slavery in cocoa-producing nations, and particularly West Africa, where most of the world’s chocolate is grown. If all went according to the plan, called the “Harkin-Engel Protocol,” the “worst forms of child labor” — including slavery — would no longer be used to produce chocolate and cocoa by 2005. Larry Graham, president of the Chocolate Manufacturer’s Association, said “the industry has changed, permanently and forever.” The agreement was signed by the manufacturer’s association and the World Cocoa Foundation; as well as chocolate producers Hershey’s, M&M Mars, Nestle and World’s Finest Chocolate; and the cocoa processors Blommer Chocolate, Guittard Chocolate, Barry Callebaut and Archer Daniels Midland. It was witnessed by a wide variety of groups including the government of Ivory Coast, the International Labor Organization’s child labor office, the anti-slavery group Free the Slaves, the Child Labor Coalition, the International Cocoa Organization (which represents cocoa growing countries), and the National Consumer League. The six-point protocol commits the chocolate industry to work with non-governmental organizations (NGOs) and the International Labor Organization in monitoring and remedying abusive forms of child labor used in growing and processing cocoa beans. A series of deadlines is part of the plan. For example, an independent monitoring and public reporting system is to be in place by May, 2002. Industry-wide voluntary standards of public certification are to be in place by July 1, 2005. In addition, the chocolate companies agreed to fund a joint international foundation, run by a board comprised of industry and NGO representatives, to oversee and sustain efforts to eliminate the worst forms of child labor in the industry. Plus, the agreement provides for a formal advisory group to investigate child labor practices in West Africa, and a commitment by the chocolate companies to “identify positive development alternatives for the children” who might be affected. It is clear that the recent public and political awareness of slavery in cocoa production has moved both the government and chocolate industry to action. We still have a long way to go, but progress is being made for the first time in years. Whose Chocolate Is Made With Slavery, And Whose Is Made Without? Even with the progress represented by the chocolate industry’s plan, however, it will nevertheless take years for chocolate products to be “slave-free.” Is there any way for chocolate consumers to know today that they are not consuming products made with child slavery? A 2001 inquiry into the cocoa sources used by 200 major chocolate manufacturers found significant differences between companies. The $13 billion U.S. chocolate industry is heavily dominated by just two firms — Hershey’s and M&M Mars — who control two-thirds of the market. Unfortunately, both of these companies fall into the category of those companies who use large amounts of Ivory Coast cocoa, and whose products are almost certainly produced in part by slavery. M&M Mars and Hershey Foods Corp. are not alone. Other companies whose chocolate is almost certainly tainted with child slavery include: ADM Cocoa, Ben & Jerry’s, Cadbury Ltd., Chocolates by Bernard Callebaut, Fowler’s Chocolate, Godiva, Guittard Chocolate Company, Kraft, Nestle, See’s Candies, The Chocolate Vault, and Toblerone. While most of these companies have issued condemnations of slavery, and expressed a great deal of moral outrage that it exists in the industry, they each have acknowledged that they use Ivory Coast cocoa and so have no grounds to ensure consumers that their products are slavery-free. Companies like Mars, Hershey, and Nestle often say that there is no way they can control the labor practices of their suppliers. But there are other chocolate companies who manage to do so, and it would seem that if the bigger companies really wanted to reform problems in the supply chain, they have the power and ability to do so. There are in fact many chocolate companies who according to company correspondence use cocoa that has definitively not been produced with slave labor. These companies include Clif Bar, Cloud Nine, Dagoba Organic Chocolate, Denman Island Chocolate, Gardners Candies, Green and Black’s, Kailua Candy Company, Koppers Chocolate, L.A. Burdick Chocolates, Montezuma’s Chocolates, Newman’s Own Organics, Omanhene Cocoa Bean Company, Rapunzel Pure Organics, and The Endangered Species Chocolate Company. At present, no organic cocoa beans are coming from Ivory Coast, so organic chocolate is unlikely to be tainted by slavery. Newman’s Own Organics is one of the largest of the slavery-free companies. The company’s chocolate is purchased through the Organic Commodity Project in Cambridge, Massachusetts. It comes from Costa Rica where the farms are closely monitored. Some companies go further and buy only fairly traded chocolate. In the early 1990s, Rapunzel initiated a “Hand in Hand” program called Eco-Trade – Fair Trade and Ecology. Strict guidelines and commitments must be maintained by all Rapunzel’s partners in buying, selling, trading, growing and processing commodities in developing countries. Guaranteed fair pricing, long term trade relationships, living wages, and no child labor are just a few of the criteria. The company’s cocoa comes from cooperatives in Bolivia and the Dominican Republic. Rapunzel’s program is one of the most effective means of positive change for the lives of farmers and their families worldwide. The company’s donations have built a school in the Dominican Republic, an orphanage in Brazil, and provided major support for organic farmers in Bolivia. Similarly, Cloud Nine has organized 150 grower families into a certified organic cooperative, and has committed to purchasing cocoa from them year-round at over-market organic prices. Although it is chocolate that has gotten the most publicity of late, chocolate isn’t the only American staple produced by slaves. Some coffee beans are also tainted by slavery. In addition to producing nearly half of the world’s cocoa, Ivory Coast is the world’s fourth-largest grower of Robusta coffee. Robusta beans are used for espresso and instant coffees. They are also blended with milder Arabica beans to make ground coffees. Often, coffee and cocoa are grown together on the same farm. The tall cacao trees shade the shorter coffee bushes. On some Ivory Coast farms, child slaves harvest coffee beans as well as the cacao pods that yield cocoa beans. More than 7,000 tons of Ivory Coast coffee arrive in the U.S. each year. As with chocolate, coffee beans picked by slaves are mixed together with those picked by paid workers. Some coffee industry executives acknowledge the use of slaves, but say the labor issue isn’t their concern. “This industry isn’t responsible for what happens in a foreign country,” said Gary Goldstein of the National Coffee Association, which represents the companies that make Folgers, Maxwell House, Nescafe and other brands. Neither Folgers nor Maxwell House responded to inquiries about the origins of their coffee. Shipping records, though, showed that on Sunday, March 18, 2001, 337 tons of Ivory Coast coffee beans were sent to Folgers through Houston, Texas. The U.S. is the world’s largest consumer of both chocolate and coffee. In fact, coffee is the second largest legal U.S. import — after oil. Fortunately, there is considerable momentum developing in this country and elsewhere behind the emergence of Fair Trade coffee. Paying a minimum price of $1.26 to growers is a major step, because coffee prices on the world market currently run between 60 – 95 cents a pound, trapping many coffee farmers in an inescapable cycle of poverty, debt, and hunger. Ten years ago, the world coffee economy was worth $30 billion — and producers received $12 billion, or 40 percent. But today, the world market has grown to be worth $50 billion — and producers receive just $8 billion, or 16 percent. Though they have not lowered consumer prices, coffee companies are paying far less for the beans they use. This creates, at best, sweatshops in the field, and at worst, the conditions that breed human slavery. Chicago-based Sara Lee Corp. supplies more than 200 million pounds of coffee annually to more than 100,000 restaurants in the United States. In 2000, the most recent year for which public records exist, Sara Lee CEO John H. Bryan took home $45,512,113 in compensation. In 2000, Starbucks CEO Orin C. Smith, received $13,873,575 in compensation from the coffee company, plus $12,847,925 in stock option exercises. He still holds more than $33,000,000 in unexercised stock options. Neither of these gentlemen, however, matched the pay received by the CEO of the company that owns Northfield, Illinois-based Maxwell House. In 2000, the CEO of Philip Morris, Geoffrey C. Bible, received $45,794,705 in compensation for his services, not including the more than $71,000,000 he holds in unexercised stock options. Others in the coffee industry also did well. Folgers is owned by Procter and Gamble, whose CEO, Durk I. Jager, received $32,828,276 in compensation in 2000, not including the more than $10,000,000 he holds in unexercised stock options. On the chocolate side, things are a little less posh, but top management seems to be able to get by. In 2000, Kenneth L. Wolfe, CEO of Hershey Foods, took home $7,877,554 in compensation from Hershey Foods, plus $2,615,838 in stock option exercises from prior grants. He still holds more than $4,000,000 in unexercised stock options. In 2000, G. Allen Andreas, CEO of Archer Daniels Midland, owner of ADM Cocoa, received $8,381,371 in compensation for his services to the company. It is not easy for most consumers to stomach the contrast between exorbitant salaries such as these, and the gruesome reality of slave labor. Nor is easy to swallow the reality of such excess when millions of coffee and cocoa farmers around the world who depend on their harvests to provide for their families are facing debt and starvation. There seems to be something particularly hideous about making this kind of money on the backs of the world’s poorest people. Fair trade is a growing trend. On October 4, 2000, Starbucks introduced whole bean Fair Trade coffee to 2,300 stores. A year later, the company announced it would brew Fair Trade coffee once a month. Across the country, there are now over 80 companies that have licensing agreements to offer Fair Trade certified coffee. These companies include Starbucks, Tully’s, Peet’s, Equal Exchange, Diedrich, and Green Mountain. Most Western consumers, if they can identify slave-produced goods, would avoid them despite their lower price. But consumers do look for bargains, and don’t usually stop to ask why a product is so cheap. It is certainly sobering to realize that by always looking for the best deal, we may be choosing slave-made products without knowing what we are buying. We have reason for hope, though, based on how well most consumers respond to the challenge of slavery — when they know about it. Once people understand that slavery still exists, they are nearly unanimous in their desire to see it stopped. Fortunately, there are people who have taken on the task of informing people about the grim reality, and providing them with empowering alternatives. One such activist is Deborah James, the Fair Trade Director of Global Exchange. She is currently coordinating a campaign against child slavery, and for Fair Trade, in the cocoa industry in West Africa. For the last two years, Deborah has spearheaded efforts to promote Fair Trade Certified coffee among campuses, community groups, and city councils around the nation. She led the successful campaign to pressure Starbucks to carry Fair Trade coffee in their stores, and is now campaigning to get industry giant Folgers to buy Fair Trade. (To learn about the Folgers campaign, see globalexchange.org/economy/coffee/folgers.html). Other heroic activists have focussed on the carpet industry. Not that many years ago, many Oriental carpets were hand-woven by children who were forced to work in the most miserable of conditions for little or no pay. Many were made by child slaves. If you have an Oriental rug on your floor right now, there is a good chance that it was woven by slave children. But then, a few years ago, a handful of European activists working from a tiny office with minimal funds started the Rugmark Campaign. In order to earn the “rugmark,” carpet producers had to agree to cooperate with independent monitors, not to exploit children, and to turn over one percent of their carpet wholesale price to child-welfare organizations. A sophisticated monitoring team was built up that can detect fake labels, knows carpet making inside and out, and can’t be corrupted. Today, the German, U.S., and Canadian governments recognize the Rugmark label, as does the largest mail-order company in the world, the Otto Versand Group. Major retailers in the United States, Germany and Holland now import only rugmarked carpets. In Europe, the market share possessed by rugmarked carpets stands at 30 percent, and is growing. The one percent from the producers has now built and staffed two Rugmark schools in the part of India where uneducated children were formerly fodder for the slave trade. The campaign has drawn the attention of other organizations, with the result that the German government and the United Nations Children’s Fund (UNICEF) now fund other schools in the areas that used to be recruiting grounds for the carpet belt. It is clear that, once aware, most people do not want to buy chocolate, coffee, rugs, or any other product made with slave labor. On the contrary, the success of Rugmark carpets, like the dramatic rise of Fair Trade chocolate and coffee, is a heartening example that given a chance most consumers want to be in an equitable relationship with the people who make the products they consume. Kevin Bales’ book Disposable People (University of California Press, 2000) is a thoroughly researched expose of modern day slavery. 2) Write a letter to the editor or an article in your local newspaper. 3) Buy Fair Trade chocolate and/or coffee for gifts that show you care about fairness for everyone. Or sell Fair Trade chocolate and/or coffee as a fundraiser for your church, school, or community group. 5) Contact the big chocolate companies, and ask them to buy Fair Trade cocoa. Hershey Foods Corp. can be reached at 100 Crystal A Drive, Hershey, PA 17033; (717) 534-6799. Mars, Inc. can be reached at 6885 Elm Street, McLean, VA 22101; (703) 821-4900. Tell them that you expect something to be done immediately to ensure that cocoa imported into the U.S. is not harvested by enslaved children. John Robbins is the author of The Food Revolution and Diet For A New America.